"One equal temper of heroic hearts, made weak by time and fate, but strong in will. To Strive, To Seek, To Find, and Not To Yield." However, the crew of the USS Pioneer has learned that within this rebuilding process there are two dark threats. The first comes from colonists being led by a former Starfleet Admiral and calling themselves the New Maquis. The second is from within Cardassia itself. The government led by Elim Garak is tedious at best. A group known as the True Way threatens to topple his government. Both of these dangerous factions, had been running in secret in attempts to bring down the alliance between the Federation and the Cardassian Union. However, now they are out in the open beating the drums of war. The USS Pioneer enters it's second season attempting to hold the line from these threats on all sides. The Pioneer's Marine Detachment known as "The Cure" is geared and ready to put a stop to the threat. But is it enough? In short, their mission echoes their dedication plaque. As part of their mission, the USS Pioneer was commissioned to join the USS Shanghai in achieving this goal. Station Empok Nor, was purposely restored to operational status for the task as a base of Starfleet Operations in the sector. Now the station stands as the final hurdle for the New Maquis and the True Way. If you think you have what it takes to face the enemy in these dark times, and NEVER YIELD then join the USS Pioneer as it enters it's second season with the darkest stories we have told to date. Browse the manifest to see what open positions interest you. Take a read of the crew posts and logs to see what we are made of. If this sounds like something you might be interested in being part of, then feel free to submit an application or alternative contacting Command through the 'Contact Us' button with any questions or queries you may have. USS Pioneer is a proud Obsidian Fleet SIM serving in Task Force 47! Join us now. 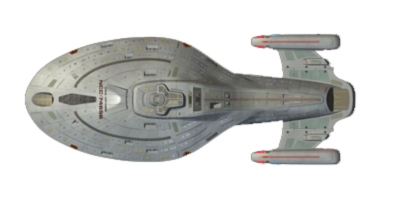 USS Pioneer is a Star Trek role-playing SIM that is played using Nova, a role-playing system developed by Anodyne Productions. You must be 13 or older to join this SIM! Alright, Alright... Enough of that. What's up gang? Great work this far on the current mission so let's keep it up. For now and for you viewing pleasure I give you the March 2019 Sim Report for the USS Pioneer. If you are interested in seeing the report on the USS Pioneer for February click the link. All in all we had an okay February. I would like to have an awesome March. With the story shaping it up as it is we can definitely achieve that goal. This is going to be a great event with the three major sim fleets. Come join us for a great day of panels. As we close the month of January I am amazed. Amazed at each and every one of you. We finish the month at around 110 posts, which averages to about 6 posts per person. That is raising the bar everyone, and for that I thank you from the bottom of my heart. However, I must also caution you because now the bar is raised and now we need to keep the pace going. So with the new mission underway let's get to writing some fantastic lead ins. I would like to publicly welcome back PO1C Willam Jackson I know I can speak for the entire crew when I say that we overjoyed to see you back and writing with us. I would also like to welcome Glen Brecat Jerane to our ranks. They take the position of Cardassian Defense Fleet Liaison. This is a position that I have wanted to fill for some time in the sim and I am glad to have them aboard. With the addition of these two fine writers I have stopped actively recruiting for the Pioneer. We have a great crew at a great size. That said, if you know a writer who you think would be a good fit send them our way and we will have a talk with them. I know that writing with your friends can make things go a lot smoother. With the awards that were given out in December there are not many to give for the close of Shore Leave. However, there are a couple. Lieutenant Vaebn tr'Hwersuil - Creativity Award - "Vaebn's creativity in the Trivas End Joint post which made it into a brilliant scene to work in." Chloe De La Vega (Lieutenant Amelia Zano) - Non-Player Character Award - "Chloe's journey is equally as enjoyable to read as that of the officers and crew of the Pioneer. Once more she adds life to the sim, there is more here than a bridge and missions." As has been the case since I created the USS Pioneer you all amaze the heck out of me and I am proud to be a member of this community. Here is to bigger and better things in the next mission. I am also more humbled than ever by your writing, and your faith in my stories. Voting for the year end fleet awards are open. The Pioneer is up for three awards, CO of the Year Tyler Malbrooke, XO of the Year Quinn O Flannagain, and Platinum SIM of the Year. So get out there and vote if you haven't already done so . Voting ends on January 31st at 9 PM GMT. Click the link below in order to cast your vote.